Welocme to the first post in our Tale of 6 Gamers! Having a deadline to get miniatures built and painted is a really good method of getting new army projects completed. A such, @Eldrad and myself have challenged a number of other forum lurkers to a Tale of Gamers! What is that I hear you cry? Put simply, our Tale of Gamers has been organised between a group of individuals whose aim is to finish a tournament ready army over a pre-agreed length of time. The rules between tales vary, depending upon the preferences of the participants, however I will detail ours below. In this instance, we have each picked an army that we would like to would like to work on for the next few months. The current aim is to add, build and paint approximately 500pts per month to our chosen force, with the sample forces from the new Quick Starter rules being the base point. Each month we will also try to get in a game over UB2 using the forces that we have painted (and the associated battle reports will hopefully end up in our end of month roundup). So, who is taking Part and why? “My name is Mario Perović (27), also known as Eldrad on all the forums I visit. I’m just finishing my final year (and final exams) of studies and I’ve just started working as a junior client manager at Nielsen Croatia, so my hobby time is tight as ever. However, I’m positive that I will be able to contribute to this project as much as needed. I’ve got grandiose plans with this project nonetheless by using the template from much known White Dwarf Tale of Warlords. I’ve been in the hobby since 2003 when I bought the paint set with 6 Bretonnian archers inside. Over the years I’ve been on and off the wagon until the hobby flame rekindled itself somewhere around 2011. After that, I’ve had larger another larger pause between 2013-2015 but kept myself updated with hobby news etc. Since late 2015. I’ve been organising tournaments and campaigns. Personally, I value hobby part more than playing games (tournament ones) but I really enjoy coming up with narrative scenarios and playing them through smaller campaigns. I prefer painting models to assembling/converting them, but I enjoy building scenery the most. My first serious army were Warriors of Chaos. Overly-muscled Conan-esque miniatures have always been my favourites. I’ve had a brief affair with Dark Elves but in the end I sold them and went back to my Warriors. I might not like their playstyle (I’m fan of barbarians en masse) but I like their looks and that’s enough for me. “Hello all, my name I’d Phil Karl, or Kazandu on the forums. I am an Ex-ABC member for the Dwarven Holds team, and am quite an active hobbyist. I am a school teacher (currently teaching 3rd grade), and am working on this project for one summer fun (or longer, namely, however long it takes me to paint up this army). I enjoy the conversions and painting side of the hobby, as well as the game. I am active in the tournament scene in the mid-Atlantic region of the United States. I currently have enough points in Dwarven Holds to field 3 armies…at the same time!!! A Sylvian Elf list with 0 elves (@Chihammer is quite fond of calling me tree master), and a female knight based Warriors of the Dark Gods army (which will probably get shifted around after the rework later this year). I want to work on this project because my wife is going back to school, we just bought a house, money is tight, and I should probably turn all that grey plastic and lead I have into something painted before I buy any more models. It may have taken a lot of work, but I was able to prise James away from the mirror long enough to get the lowdown on why he decided to take part! Yours truly, the author, scribe, project coordinator… and Mario’s minion. “ I am Callum, a pseudo active gamer who at the decrepit age of 27, is probably a little too old to be playing with toy soldiers (not that it stops me). 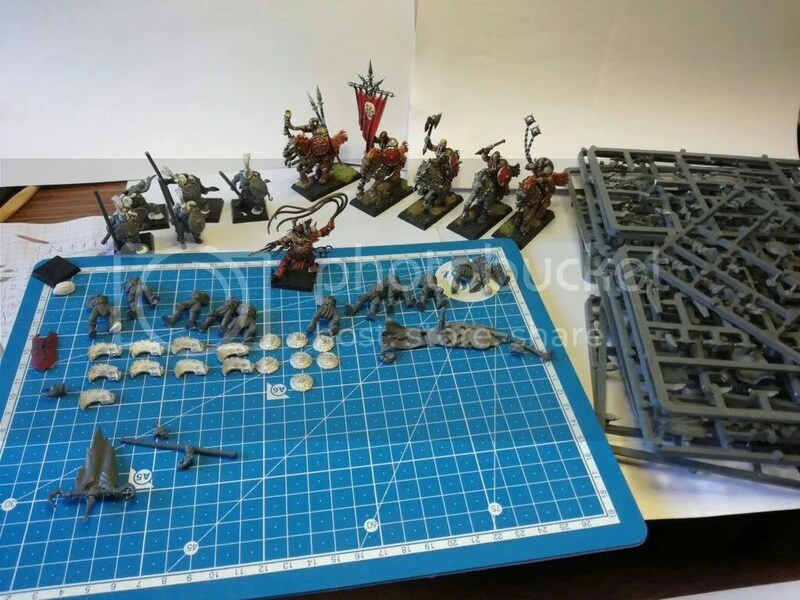 I originally started gaming back in 1997 with my father; my first force was a GW Skaven army, comprised almost exclusively of the single pose plastic clanrats – the ones that were literally impossible to rank up. For me, the hobby fell away once I made it to university, copious quantities of beer, parties and women left little time for gaming. The hobby flame was rekindled a year or two ago and now here I am, playing 9th Age! I am also now married with 1.9 children (soon to be 2). 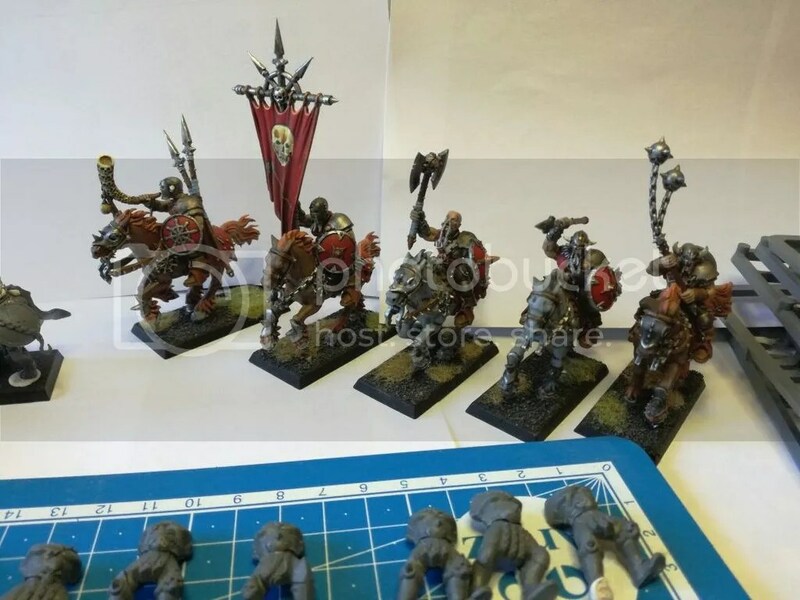 I currently play EoS, having put together and painted a 4500 point force for the Brizzle GT in under a month (the whole army is ‘painted’, but I have not yet done any detailing or highlighting), although I also have a large undead horde, which includes ALL THE ZOMBIES! Given the horde like nature of my two other armies, I decided that I fancied giving DE a go – their tactical flexibility and maneuverability appeals to me, especially given the nature of my other forces. Above you can see a couple of the test models that I have done. Erik has some big ideas for his KoE force, and was kind enough to share the details with me… in exchange for 42 serfs, 7 hectares of land and an oath of fealty. “My name is Erik van der Zanden (26) from Delft in the Netherlands, Lord Drakon on the forums. I just graduated and am writing a book about dictatorship and non-violent revolution in Africa. I am not that active in the gaming community but try to get a game in 2-3 weeks and 2-4 tournaments per year. The aspect I like most of the hobby is the modelling / converting part based on fluff. I can also enjoy the painting aspect a lot and a slowly improving over the years, however I often lacked the structure and discipline to paint on regular basis as a student. I hope my life as graduate will change that! Nick says he knows everything – do you think he knows that classical Egypt had a postal system dating back to 2000BC? I don’t. “I’m Nick Johnson, better known on the forum as Squirrelloid. I’m on the legal team, which means I know everything. Bwahahaha. I got into 40k in high school, and played 3rd and 4th (and a little 5th) editions of that. I slid into WHFB in 6th edition as Dark Elves (talk about doing it wrong), and ran out of time a little into 7th edition. Having got rid of most of my WHFB models, I was dragged back in by Raging Heroes beautiful Kickstarter. (And then discovered WHFB no longer existed – which brought me here). The hobby and the game are things I enjoy separately in their own right. On the hobby end, I love building models more than painting them, but there probably won’t be much time for conversions here. On the game end, I like pushing systems to the brink and seeing how they function, so you’ll frequently see me with rather extreme lists, especially on UB where I don’t need to own models to play it. (I don’t believe in WYSIWYG, but I do believe in my models meeting my own standards for representing an interpretation of the unit‘s rules). So, Kickstarters with beautiful models got me back into this hobby, and TMS’s UD should be arriving this month! As they already come with beautiful scenic bases, I’ll probably do them straight up and not convert them too much. Expect a lot of monsters and shabti, and not terribly many skeletons. When we get towards the end, I am going to have a go at converting up some cataphracts with some unusual pieces, especially since I can no longer put 5 monsters on the table xP. So, there you have it ladies and gents; a lowdown on the project participants and why they decided to get involved! Ok, where do we go from here? The items that each person is planing to complete this month are detailed in this table. So there you have it! We hope to see you all on Monday the 29th, when we will be posting progress and pictures from the first pair – Mario and Phil! A couple of pictures below of my Ninth Age vampire countess for the Vampire Covenant army. Apologies for the poor photo quality – one of these days I will get around to getting a proper camera, but to quote Aragon ‘Today is not that day”! Still in progress – I need to finish the jewelry, chalice and base. 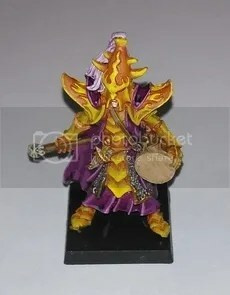 Anyway, hopefully there will be plenty more ninth age things to come in the near future, as I have just joined a group of players near Bristol! I thought that I would share a few pictures of my new White Scars Fire Raptor Gunship with you. Anyway, see below and apologies for my poor photography skills. A cheeky close up of the pilot! Once I have got a few games in, I plan to write a tactica or similar for it. Anyway, I hope you like! So…. 2017 is here at last. Having desperately awaited the end to the truly abysmal year that was 2016, the hours shortly preceding midnight on New Years Eve were greeted with a mixture of trepidation, hope, beer and Thai Green Curry. Whichever fool claimed bad things come in threes needs a slap. On another note, I have finally taken ‘the plunge’. 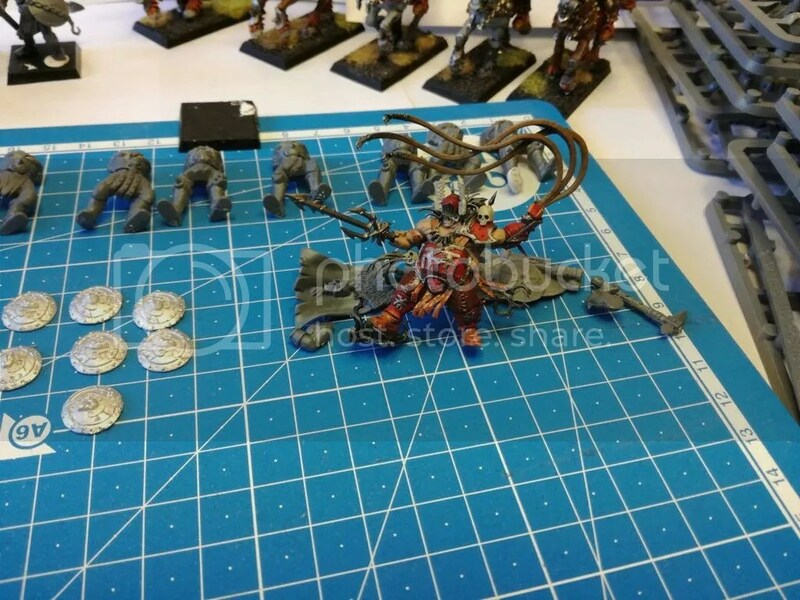 Despite repeated oaths that I would never again suckle at the swollen teat of Games Workshop, my self control failed me once again; Hojitt mentioned that he had dug up his old Eldar army and 14 cans of Budweiser and a Golden Hobgoblin later, I was the proud owner of a small 30K white scars army, including a rather spiffing Storm Eagle transport. Oh dear. As such, I have added a new GW oriented page to the top bar which will be populated with content – at some point. All of this needs to be assembled and painted, so it should keep me busy for a while! Having been inspired by Kraggi over at the Varcan Cluster and his new year post, I have decided that I will detail a list of things that I plan to do in 2017. I have categorised a small amount of it below, broken down into segments that loosely match my blog headings. Since starting the blog, I/we have been very lax. The plan was to post something weekly, or worst case monthly but this has just not happened. Partly this is down to the distance between myself and my usual opponents. It is also partly down to me being lazy. This needs to change. I cannot promise regular updates, but I can at least try to start posting more consistently. I have plenty to go up! Our map based Chain of Command campaign has been started and the first phase is complete and in need of a write up. I also have multiple platoons either painted or on the painting desk, ready to go. I should be able to get some good battle and campaign reports with plenty of photos up if time allows. I have plenty of FSA models ready to paint, most of which are base coated. My PF Dindrenzi and Directorate are finished, only the Terrans to go. With Hojjit finally living locally, we should be able to get in a few games and finally kick off our narrative campaign. Where to begin… Oh wait, just to begin! I have dozens of models that have not come out of the packaging, let alone seen a game! 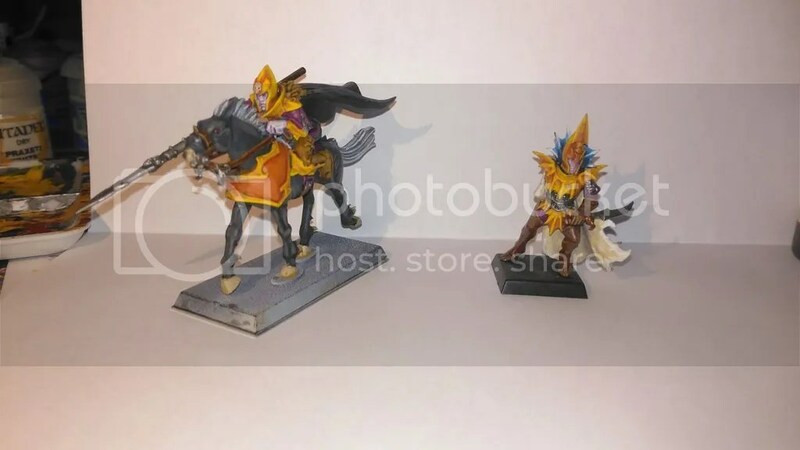 Hopefully I will be able to get some of these painted! I need to get my White Scars built and painted. I also need to resist the urge to buy anything else until I have my Storm Eagle finished! I have a lot of it (the above is perhaps half, and NONE of the airbrush stuff) and some of it is getting on for 20 years old – a good old clear-out is needed. Hojjit and I have agreed weekly paining meetups so there should be plenty of movement in this section (and it is not as if I am short on variety)! Well there you have it – my/our plans for 2017! Is there anything that you would like to see? If so, let me know! Excerpt from the Foreword of “The Mysteries of Quelseon; Unlocking the Secrets of the Overseers”, University of Luna Press, by Dr Howard Van-Ranbart (2956). “Despite its location far south of the hotly contested Storm Zone, the Quelseon System never the less fell victim to the ravages of the Kurak – Zenian conflict. A casual observer could have been forgiven for dismissing the system as a strategically unimportant military training area, something the Terran Intelligence Services had been keen to encourage; the reality was somewhat different. Figures 1 & 2: Directorate infantry advance through the dense forests of Proteus Prime. Despite efforts from the Aquan hierarchy, details swiftly passed across the desks of the Terran Admiralty regarding the catastrophic events that took place on and around ‘Planet N56W6P91D’, known to the other sentient races as ‘Proteus Prime‘. Previously redacted, recently de-classified documents reveal that agents of the TSC were able to acquire fragments of debris, remnants of the titanic space battle that signalled the close of the conflict via a combination of extortion, bribery and blackmail. After extensive analysis, Terran scientists were able to determine that a small quantity of the material recovered was of unknown origin; of particular interest was a crystalline structure containing a previously undiscovered artificial element, swiftly named ‘Proteum’*. This new element had been skillfully combined with more mundane materials to create an energy source of unparalleled vehemence. Across Terran controlled space, geological survey ships were re-tasked, state funded archaeologists reassigned and scientific research vessels redirected, all with a single overriding new directive; to locate other incidences of the mysterious ‘Proteum’. Months passed without word, until eventually, trace quantities of this much sought after substance were discovered within an archaeological site on the remote planet of ‘Quelseon Prime’. It was agreed unanimously by both the Terran Admiralty and civilian government, that the Quelseon System represented a viable place to establish a network of low key research and development facilities. These would be targeted at both synthesising and discovering more about ‘Proteum’ and its mysterious creators, especially given the presence of archaeological sites, possibly linked to these unknown beings. The planet’s status as a military training area would conceal the movement of troops and resources, whilst providing a constant, yet ignorant source of security. With military scientists believing this new element may have untold martial applications and with the war within the Storm Zone rapidly stagnating Terran High command, desperate for any kind of breakthrough, took the unprecedented step of of inviting scientists from other major Kurak Alliance powers to assist them in unlocking Proteum’s secrets. *For a more detailed account regarding the discovery of ‘Proteum’ and its compositional oddities, please see ‘Proteum, A Gift From the Gods‘ by By Dr Zachary Charlesworth (Luna University Press, 2945). The Start Of A Good Thing? “All hope abandon, ye who enter here”, wrote Dante Alighieri as part of his epic 14th Century ‘Divine Comedy’. In a desperate effort to prevent you all from doing the same, I will endeavor to keep this brief. I am cm284, a resin crack addict in my late 20’s. Due to my location and work commitments, I do not have many outlets for any hobby related creativity that may strike me, and as such, this blog aims to provide a suitable venting space. A number of narrative campaigns that we have in the offing, including battle reports. Hobby related posts (tactics, painting, terrain making, miniature and scenery reviews etc). A showcase of our respective miniature collections (mostly mine, as I have rapidly come to the conclusion that hojjit is allergic to paint). A place to discus and review rule sets, as well as to bandy about ideas etc. A place to give my perspective on areas and issues that are affecting the wargaming hobby, be it company attitudes or business practice, through to negative experiences with player-bases etc. Firestorm Armada and Planetfall by Spartan Games (see my showcase here). Part one of our narrative campaign can be found in my next post. Chain of Command by Too Fat Lardies (WWII, 15mm). Inquisitor (click here to download a PDF copy of the narrative campaign introduction that I wrote to set the scene). Any suggestions for content from my readers would be welcome and feedback is appreciated – I cannot post what you want to read if you do not tell me! Anyhow, hopefully something in the above has piqued your interest, and that the glazed look in your eyes is unrelated (if so, you should probably get that checked).